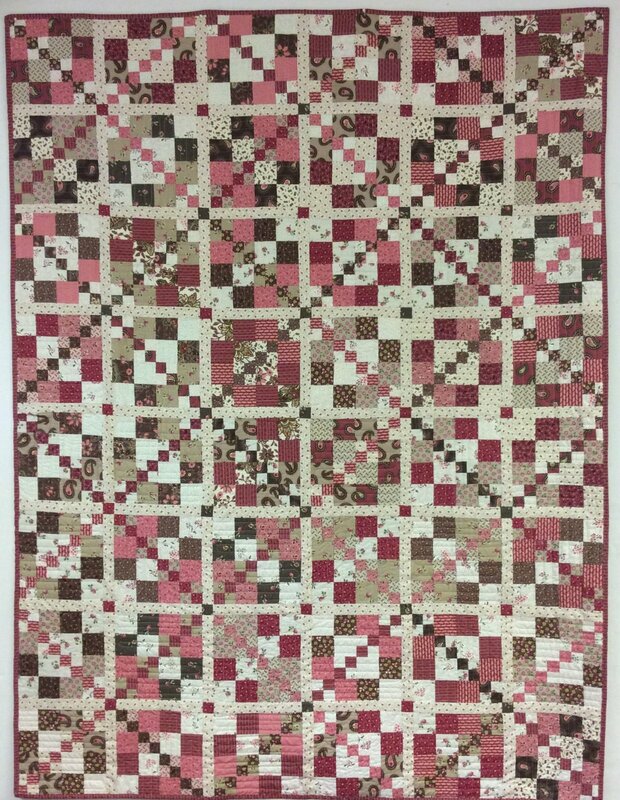 Featuring the Sweet Charlotte fabric line by Moda and made with1 1/2" and 2 1/2" strips, this Patchwork Garden Kit (PGK) makes a gorgeous lap quilt that measures 53" x 71". Your kit also includes the sashing and binding fabrics. Don't forget to add the pattern "Double Down" by Debbie Zimmerman to your cart.